Prediction has always been a curious topic in life due to a key attribute – the extreme human desire to know what is coming next. Predictions are central to every aspect of our life, whether we realize it or not. During school days, it was predicting what we would love to do in the future to choose a career path, checking the weather today to determine how should I dress, evaluating inventory numbers for the next day, to less important predictions made daily during our interactions with other people – like doing time management and getting into classes for a student, to dining, socializing, etc. A prediction or forecast, is a statement about the future. It’s a guess, sometimes based on knowledge or experience, but not always. Now, let’s consider a popular and common use case of the speed of an object to understand how predictions play an important role in our real world; in shaping our lives in ways and instances that we aren’t aware of at first, and thereby help us to make informed decisions. How fast vehicles such as cars and trains can go and how their speeds are calculated? When a police officer gives someone a speeding ticket, how does she know for sure if the person was speeding? These questions force us to recollect our old learnings and refresh the concept of the physical system – the speed of an object is the magnitude of its velocity (the rate of change of its position) i.e. the speed of a certain object is calculated by dividing the distance travelled by the time taken to travel that distance. These relationships, not of perfect kind nature, when graphed, gives a scatter plot of points, as seen from the plot of height-weight information of 30 adults as below: The above scatter plot reflects the relationship between height and weight as linear, depicting a positive increase in weight with height. We can thus fit a straight line to this data which would provide the best estimate of the observed trend. 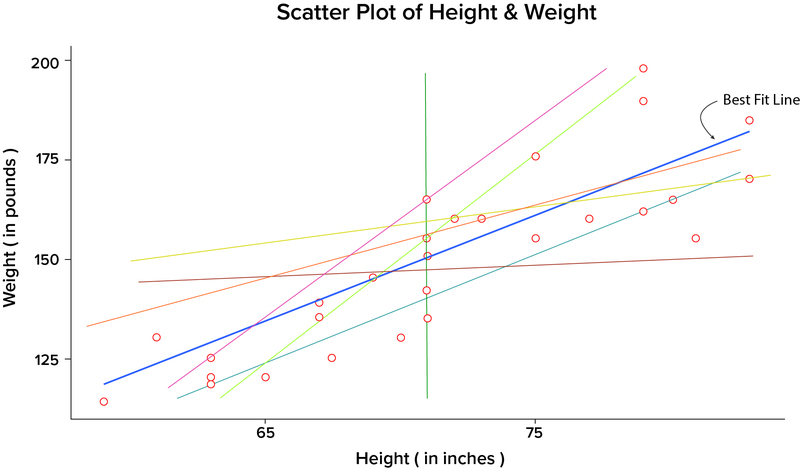 The data points in the above scatter plot could be summarized in many ways as shown by various lines in the below plot: Now the question arises – What is the best fit line that summarizes the relationship between height-weight, amongst all possible lines? The best fit line is the one in blue color, and termed as regression line, which is actually the plot of the predicted score on y, for each possible value of x. But, the next question comes – how to arrive at this best line? The closer the regression line comes to all the data points on the scatter plot, the better it is. This means that the minimum variation of points around the line results into low prediction error. 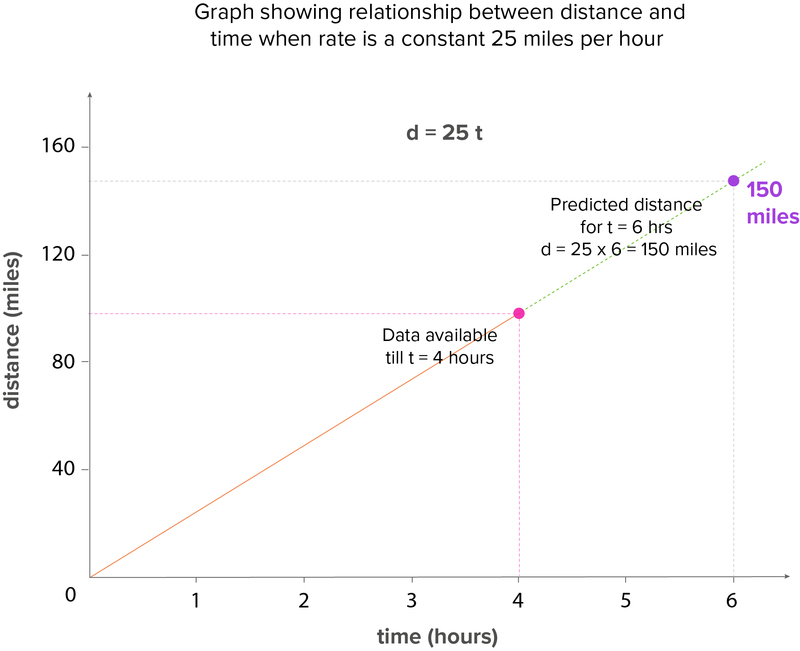 The best fit straight line to summarize the data, as described above, could be obtained by using a prediction method such as Simple Regression. What is Simple Linear Regression? Simple linear regression gets its adjective ‘simple’, because it concerns the study of only one predictor variable. In contrast, multiple linear regression, gets its adjective ‘multiple’, because it concerns the study of two or more predictor variables. Both height and calorie intake individually are linearly related to weight as seen below in their scatter plots. However, both height and calorie intake together may affect the weight of an individual linearly in a multi-dimensional cloud of data points, but not in the same manner as they affect alone, in the above scatter plots. 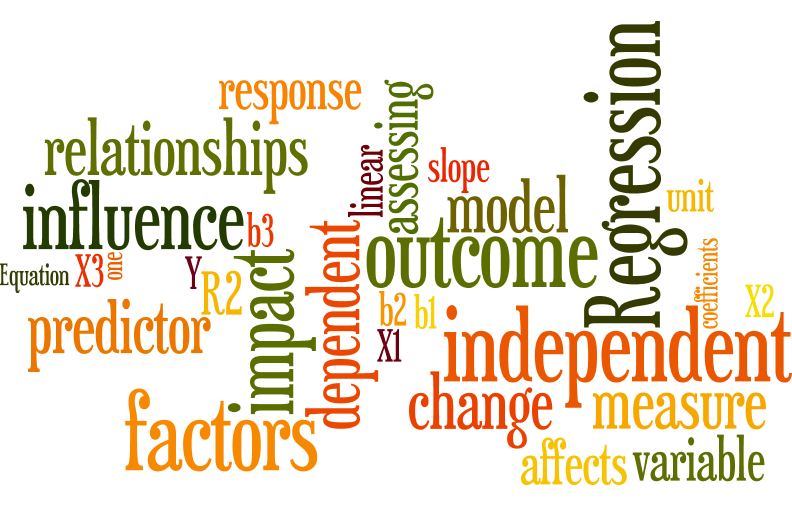 The general mathematical model for representing the linear relationships (termed as regression equations) can be written as: Here, for simple regression – b, the slope of the linear equation indicates the strength of impact of the variable, and a, the intercept of the line. And for multiple regression – bi (i =1, 2, …,n), are the slopes or regression coefficients, indicates the strength of impact of the predictors, and a, is the intercept of the line. The regression coefficient estimates the change in the response variable Y per unit increase in one of the xi (i =1, 2, …,n) when all other predictors are held constant i.e. for our height-weight example, if x1 differed by one unit, and both x2 and x3 are held constant, Y will differ by b1 units, on an average. The intercept or Y-intercept of the line, is the value you would predict for Y if all predictors are 0 i.e. when all xi = 0 (i =1, 2, …,n). In some cases, the Y-intercept really has no meaningful interpretation, but it just helps to anchor the regression line in the right place. In this part, we introduced simple linear regression model with one predictor variable and then extended it to the multiple linear regression model with at least two predictors. A sound understanding of regression analysis, and modeling provides a solid foundation for analysts to gain deeper understanding of virtually every statistical and machine learning technique. Although regression analysis is not the fanciest learning technique, it is a dominant and widely used statistical technique to establish a relationship model between two or more variables. In the ensuing part, we will delve into the steps and methodology to develop multiple linear regression model. Sunburst Chart vs. Sankey: Which is better to Depict User Journeys?